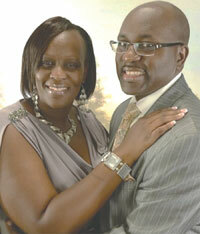 Mount Nebo will Celebrate the 1st Pastoral Anniversary of Rev. Danny L. McKenzie, Sr. and Lady Patricia McKenzie with the following worship services: Sunday, October 14 at p.m. with Antioch Missionary Baptist and Rev. Arthur Jackson, III; Tuesday, October 23 at 7 p.m. is Mount Nebo Family Night; Wednesday, October 24 at 7 p.m. with Mount Pisgah Missionary Baptist and Rev. Donelle White; Thursday, October 25 at 7 p.m. with Rev. Zackery Royal and St. Mary Missionary Baptist at 7 p.m.; and Sunday, October 28 at 10 a.m. with guest preacher, Rev. Alonzo McKenzie of New Bethel Missionary Baptist Church, LaBelle, FL. All services will be held at Mount Nebo Missionary Baptist Church at 2251 NW 22 St., Fort Lauderdale, Fla. 33311, (954) 733-3285.